What is the one thing you can do to reduce your electric bill, increase your home’s value, and achieve energy independence? If you said solar energy, then you’re right! 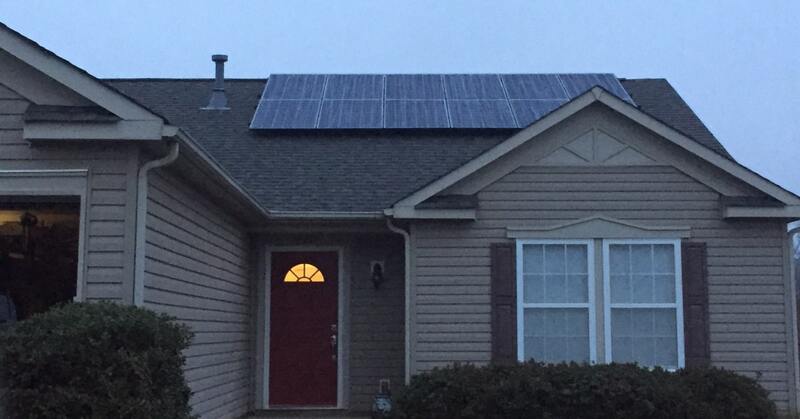 Isn’t it time you started saving money with solar energy in North Carolina? At POWERHOME Solar & Roofing, we’re committed to helping residents of North Carolina save money on their utility bill today and into the future. As a leading North Carolina solar company, our mission is to change how North Carolinians get their energy. There’s a new kind of energy in Bank of America Stadium, home of the Carolina Panthers. 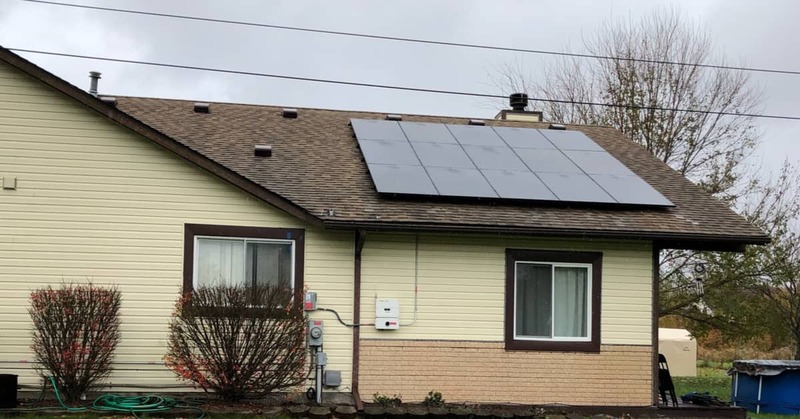 POWERHOME Solar helpe the Panthers “go green”, maximizing their energy efficiency and reducing their carbon footprint with renewable solar energy. 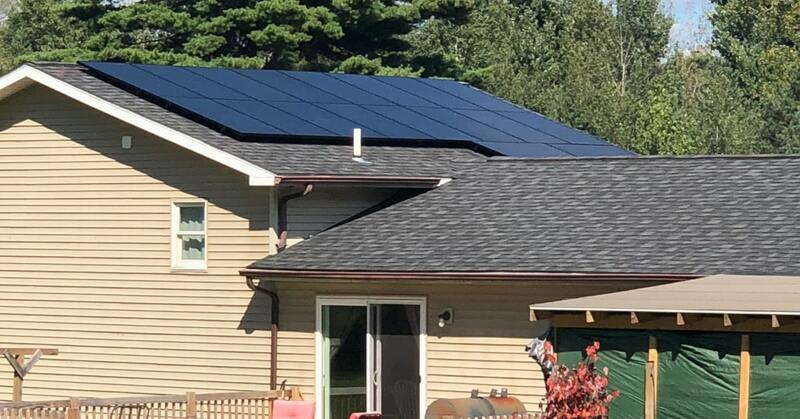 North Carolina homeowners who switch to solar energy can take advantage of federal, state and local programs to alleviate some of the cost. The federal solar investment tax credit (ITC) provides a 30% credit for qualified homeowners. Our solar consultants will help you understand how you could save additional money through available state and local programs. At POWERHOME Solar, we believe you should own your power, not rent it. We can help reduce your energy bill and make doing your part to help save the planet as easy as putting your recycling bin curbside each week. Many people want to switch to solar but don’t because they think that solar panels are too expensive. In fact, nothing could be further from the truth. With POWERHOME Solar, you can choose our $0 down, 100% financing plan. You don’t have to spend a cent up front to start saving on your energy bill. Or, you can choose to buy your system outright. A simple phone call is all it takes to begin the process of switching to solar power. One of our solar consultants will get the ball rolling. After asking a few questions to determine if you qualify, we’ll set up an appointment for a solar consultant to come out to your home. Or you can choose to fill out our online form. At this point, our consultant will further evaluate your home and analyze your current energy bill to see what size system will work for you. You’ll get a custom proposal based on the needs of you and your family. We’ll schedule an installation date. Our crews are professional, thorough and knowledgeable. We are more than just a North Carolina solar company, we also are a GAF-certified roofing company, so you know you will be dealing with a dependable team that uses the latest roof installation techniques. You might be surprised to learn that North Carolina ranks No. 2 in solar energy nationally. This solar capacity accounts for over 530,000 homes powered by solar. And with the state’s solar energy capacity expected to increase by more than 3,600 megawatts during the next 5 years, it’s safe to say that solar energy in North Carolina is booming. North Carolina solar panels are now at peak efficiency. Solar panel systems now have practical, sleek designs that blend with your home’s roof. They are designed to capture the maximum amount of energy from the sun and convert it into energy for your home. Some people may worry that they may not get enough sunlight on their home in North Carolina to generate enough power. But with North Carolina receiving approximately five hours of peak sunlight daily, combined with the efficiency of North Carolina solar panels technology, that means your home can generate the power you need. Our solar panels produce energy even on snowy or cloudy days. You know the drill: You pay your power bill each month, or you don’t have any power. But you have no say in how much you are paying. The energy markets are constantly changing, and the costs of business for utility companies are continually rising, making the price for nonrenewable energy erratic and unpredictable. This is reflected in your energy bill, which never seems to go down. With a solar energy system from POWERHOME Solar, you can say goodbye to unpredictable energy bills. Sunlight is clean, renewable and efficient. When you power your home with solar energy, you lock in a monthly rate for your solar energy system. And when you pay your system off, you'll be generating energy that's completely free to you. How Much Will Solar Panels Save Me in North Carolina? Our customers have saved hundreds of thousands of dollars on their energy bills by switching to solar power. The best way to know how much you can save with solar power is to contact one of our solar consultants. They’ll set up an appointment to meet and evaluate your home and your specific energy needs. Properly installed solar panels will not damage your roof. They’ll actually turn your roof into an asset. At POWERHOME Solar, not only do we install solar energy systems, we repair and re-roof homes. We have the knowledge required to ensure your solar panels are installed correctly. Solar panels are powered by light, not heat, so they work in winter. In fact, the cold temperature usually improves solar panel output. The snow can reflect light and help further improve their performance. Solar panels continue to work even on cloudy days. However, solar panel production will be temporarily affected if your panels are covered by too much snow. Call 704.870.3670 today and start saving money with solar.